A former banker and mortgage broker has been sentenced to five years in prison for 16 counts of financial deception, including three relating to trail book scams. Mark William Whittingham had pleaded guilty to a total of 16 charges of “obtaining financial advantage by deception” over a period of 42 months. Three of the charges brought against Mr Whittingham relate to the purchase of broker loan trail books. Seven others related to a rent roll matter with real estate agents, two charges were relating to an insurance register trail book matter, while the remaining four related to fraudulent credit account applications. 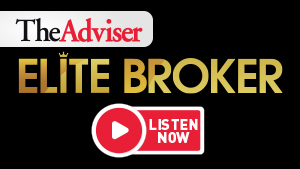 As previously reported on The Adviser, Mr Whittingham has had several interactions with the broking industry (both under his own name and under aliases), largely in relation to scams involving trail book purchases across multiple states (NSW, QLD and SA). The County Court of Victoria heard that Mr Whittingham would represent that he had a loan trail book for sale, would accept payment of a deposit from the prospective buyer, and tell the buyer that he would set up a meeting with the owner of the loan trail book in order for due diligence to be performed. However, the court heard that “these meetings never eventuated because [he] either did not have authority to sell the loan trail book or the asset did not exist”. In some cases, Mr Whittingham was found to have included loan trail book statement “purporting to represent income from the loan trail books associated with various aggregators” and also confirmed that Mr Whittingham had sent emails and taken phone calls purporting to be a Mr Mark Clayton from Port Melbourne who was selling his trail book because he was terminally ill. These deposits paid by brokers to Mr Whittingham, which have not yet been refunded to the brokers affected, total $109,447. However, the total amount he fraudulently obtained from all his victims totalled about $744,877 and the victims’ total losses were found to be in the region of $528,070. Over half of this loss fell on Westpac Bank, which was victim to the credit card fraud. The judge added that several of the victims affected have experienced financial, commercial and personal stress as a result of his actions. Judge Trapnell said: “Taken overall, your offending conduct is grave. Over a period of some 42 months, you repeatedly defrauded corporate and non-corporate members of the Australian business community of their financial assets. “Your crimes were sophisticated, well planned and executed and involved sustained fraudulent conduct on your part. Your motive for committing these crimes was to support yours and your family’s lifestyle. Your offending also involved serious breaches of trust that you owed to your clients. I find you lack insight into your offending behaviour, its objective gravity and its effect on your victims. “Clearly, denunciation, general deterrence and just punishment must loom large in sentencing you. Specific deterrence and protection of the community also must be given significant weight. Moreover, I can only adopt a very cautious approach to your prospects of rehabilitation,” he said. The judge outlined that while Mr Whittingham had been a law-abiding citizen until July 2012, he had previously worked at several lenders, including major banks, and as a mortgage broker before launching his own businesses. It was after this time that Mr Whittingham “became fraudulent”, the judge said, when his business became unable to support his “increasingly extravagant lifestyle”. “You committed these offences in order to support a lifestyle that involved you living in expensive houses in fashionable suburbs, you and your wife driving luxury cars and your daughters attending a private girls’ school. Your business was unable to support this extravagance, so you decided to defraud other hard working members of the community,” Judge Trapnell said. The judge also noted that the accused had pleaded guilty to an indictable offence whilst on bail and had already been remanded in custody for these and other offences (several offences that took place between July 2012 and January 2016 have already been heard in the Moorabbin Magistrates’ Court). While in remand for the present matters (which have been delayed over the course of several years due to a range of reasons, including changes of pleas, changes of counsel, sentence deferrals and issuance of subpoenas), Mr Whittingham reportedly suffered custodial hardship in the form of physical abuse, which the judge made allowance for in his sentencing, as well as the accused’s prior good character. “However, whilst you are undoubtedly regretful for the situation in which you find yourself, there is no evidence before me of remorse beyond what is reflected in your pleas. There is insufficient evidence before me to make a finding in your favour that you demonstrate true contrition and remorse,” the judge said. Given that Mr Whittingham had already been held in custody for a total period of 1,053 days in relation to these proceedings, the judge took this as “imprisonment already served” and sentenced him to a further 5 years of imprisonment for the combined charges. This includes 27 months of imprisonment for the loan trail book charges. However, several years’ worth of sentencing are to be served cumulatively. If this were not taken into account, his total sentence would be more than 12 years long. Mr Whittingham will not be eligible to be released on parole until three years and four months have passed.